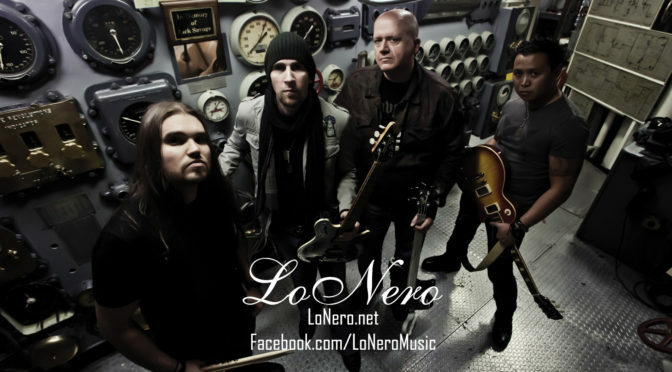 ReverbNation Featured Artist LoNero! - Welcome To All That Shreds Magazine! Here’s my first featured artist from my ReverbNation campaign. In 2008 LoNero released their first CD “Relentless” and coined the genre “Guitarcore.” From that moment on, they have defined what that genre is. Unlike most instrumental artists, who’re songs emphasize solos and arpeggios, LoNero’s music features illustrated verses, choruses, and emphases on melody and structure. Apple and QuickTime did a month-long promo for “Relentless” and helped build LoNero’s fan base from the ground up. This album features the song “Loose” which has been licensed by Discovery Channel, MTV video Music Awards, “That Metal Show,” BBC and much more. In 2014 LoNero were handpicked by guitar legend Tony MacAlpine to be the primary support for his first solo U.S. tour in 10 years. That tour went so well that LoNero were asked again to be main support on a second U.S. tour in 2015. Traveling from coast to coast and into Mexico, LoNero proved they could hold their own even with the best. In 2017, LoNero released their most advantageous album to date, “The Defiant Machine.” TDM is a thematic instrumental powerhouse focusing on war throughout the last 100 years. With old speeches from Franklin D. Roosevelt, Winston Churchill, John F. Kennedy, and George W. Bush intertwined with piano interludes, blistering guitar harmonies, solos and seamless time changes, TDM is unlike any instrumental album to date. The album features the song “Burning of Ideals (a date which will live in infamy), a 12-minute epic auditory journey. This song was recently chosen to be included in Guitar Player Magazine’s first compilation CD coming out summer of 2017 with distribution and promotion by Universal Music. Rounding out the theme for TDM, all photos for the album artwork were shot aboard the historical and legendary U.S.S. Hornet aircraft carrier. The same ship that recovered the Apollo 11 capsule which carried the first men to walk on the moon and one of the most decorated war vessels to ever sail the seas. Previous Previous post: Will That Metal Show Ever Return To Television?